The Findable Picture Gallery features the classic nutmeg graters that were the "successful" products and, as good sellers, they are more plentiful and more universally obtainable by today's antique collector. The four examples in the first row are the most prevalent; however, any committed collector will eventually acquire all those illustrated on this webPage. 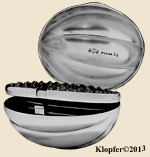 Regarding mechanical nutmeg graters, over 200 designs received patents. 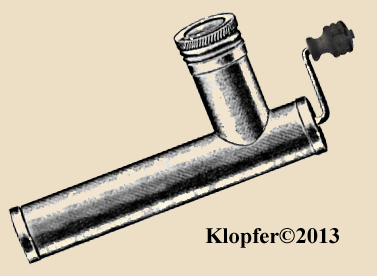 After the year 1900, however, several of these best sellers were not patented. Each of these nutmeg graters was well marketed under a product trade name (sometimes with more than one trade name when a newer version was produced or when the product-line came under new ownership.) 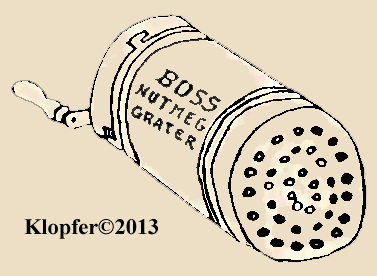 While one Boye Sanitary nutmeg grater recently sold at an on-line auction site at its starting price of $9.99, some of these nutmeg graters price-range well into the hundreds of dollars. 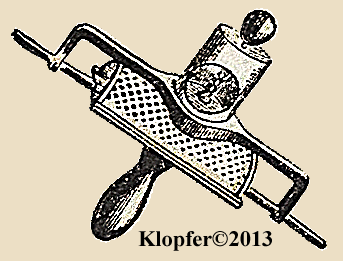 Below are 12 more "findable" mechanical nutmeg graters: the Champion nutmeg grater by Gilpatric is more difficult to locate than the others, but can be found. 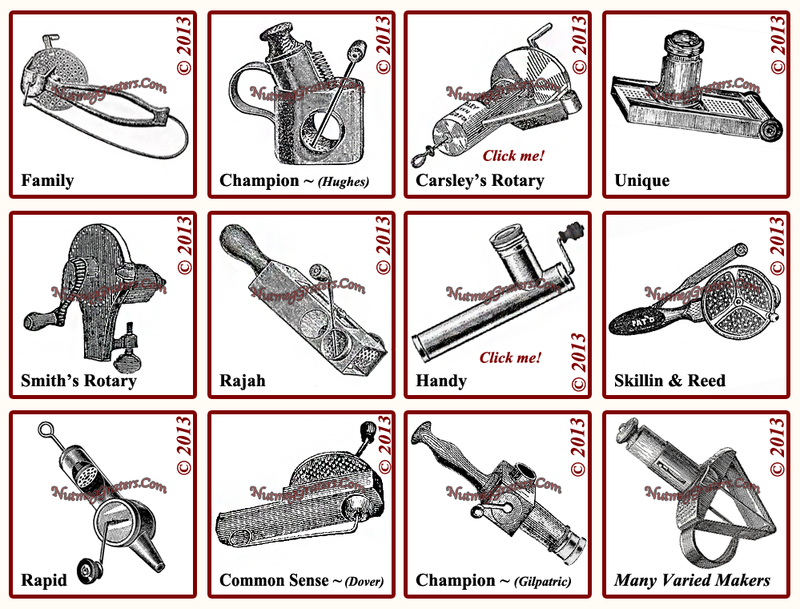 The example at the bottom right is a swing grater that was produced widely and by a variety of makers both in the United States and in Great Britain [one very rare silver example was the product of William Marshall of Edinburgh, Scotland, 1864~5 (To see its photo, visit the Home page) ]. By the late 18th century, many silversmiths in Birmingham, England, manufactured an array of small silver items, and spanning from the 1770's into the 1830's, this region produced silver pocket nutmeg graters in a wide variety of shapes and forms. Sometimes unmarked, these English pieces are regularly available for the collector of small silver. Below, these four examples are the products of Samuel Pemberton, which are of the more common variety.